He was looking for a BMW specialist that could handle the task of delivering a S54 engine capable of delivering Supercar crushing HP, as well as withstanding track use. 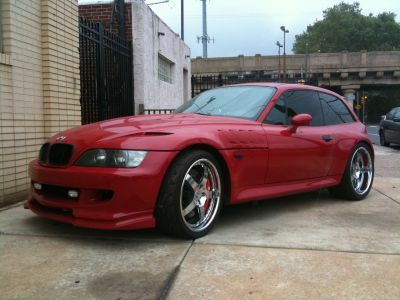 Owning a lovingly customized Z3 M-Coupe, the rare factory fitted production that shipped from BMW with the S54B32, he wanted a no-compromises build for one of BMWs most rare sports cars. Several weeks later, the car arrived and once in our expert hands the discussions continued. However, complications arise as the confusing nature of this Z3-M baffles suppliers: E30 rear suspension, E36 chassis, E46 M3 engine...? 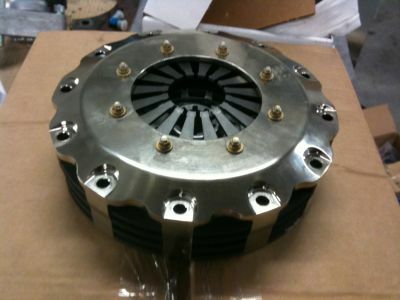 Example: Our outstanding Tilton Triple Disc VAC custom clutch package is prepared to be installed, but the clutch pack is delivered with the wrong spline! This car has an S54, but the transmission end is that of an S52us. 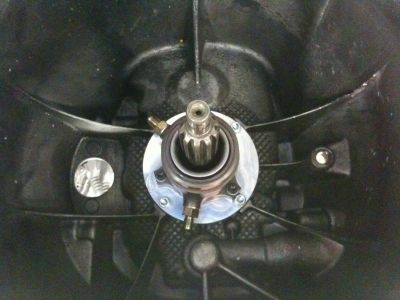 VAC Hydraulic clutch release, typical relegated just for the lucky few with race cars. This is real race technology that's street friendly. Details like reinforced trans cross member help to reign in 700+ HP! Finally, after all the necessary parts arrive, and supporting components installed. 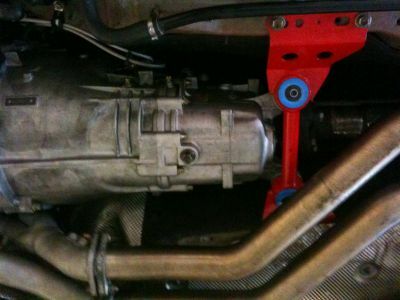 We are able to get the car together, along with a custom modified supercharger installed in a matter of hours. Performance BMW Magazine came out to photograph this insane car and it wasn't even done yet. Feature in the works! 708 BHP, this thing is wicked! All on the OE ECU and through catalytic converters! A killer stance thanks to KW V3 suspension and VAC Camber & Toe kit, the best dual street/ track suspension we have found for affordable money. Monster front and rear Brembos are required with this insane power! -VAC built S54 ‘Supercharged Series’ engine; installed and tuned from stock at VAC: All options including: VAC Stage 3 Cylinder head w/ VAC valvetrain, VAC ported throttle bodies, VAC Custom ground S54 cams, Arrow Connecting Rods, VAC spec CP Pistons w/ HD pins, VAC HP-Coated Rod and Main Bearings, VAC Competition High Volume Oil Pump, Custom dual-pump Fuel system with Bosch Motorsports Pumps, A/N lines, VAC 60lbs injectors, VAC Custom Fuel Rail, VAC Oil Filter Housing Lid, VAC Underdrive Pulleys, Custom order Zionsville oversized Radiator/oil cooler combo, VAC Custom dyno tuning. Aftermarket Carbon fiber Valve Cover. 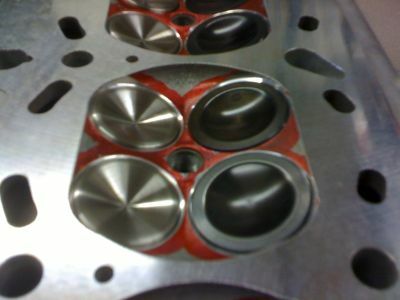 VAC Sleeved engine block. - VF Engineering Stage 2 Supercharger kit – upgraded to VAC custom VAC710 kit, with overdrive crank pulley and Vortech V3 series centrifugal compressor @ 19PSI, standard VF-Engineering S54 Air/Water intercooler-manifold. 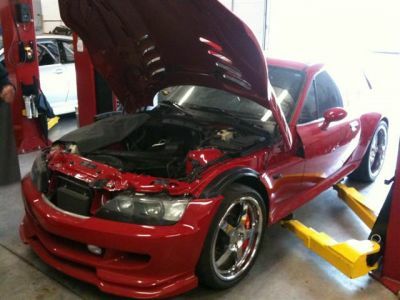 BMW ‘Imola Rot II’, Vented Hartge Hood, Hamann Front Lip, Shaved OEM antenna, High and Low beam HID headlamps retrofitted, HID driving lights added to front bumper, Blacked-out Grills, Hamann Rear wing & lower diffuser, reverse camera flush mounted behind license plate, Clear bra film. KW Variant 3 2-way Adj. Coilovers, Powergrid Sway bar end links, VAC Suspension Bushings, Upgraded Anti-roll bars, TCK Spherical RSMs, Dinan rear subframe/diff support, VAC Weld-in Chassis reinforcements. -Brembo GT Big Brake Kit front & rear.